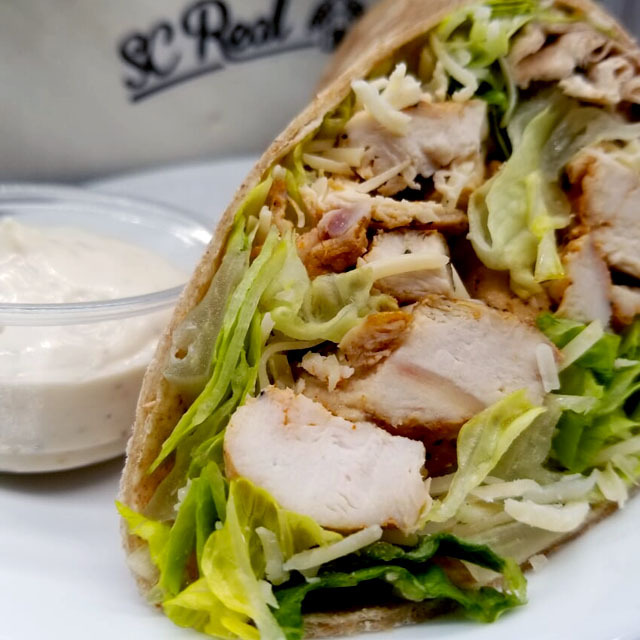 ABF House Grilled Chicken Tenders with lettuce and Parmesan cheese wrapped into a whole wheat wrap. Served with a side of homemade Caesar Dressing for dipping. Perfect with a cup of soup.